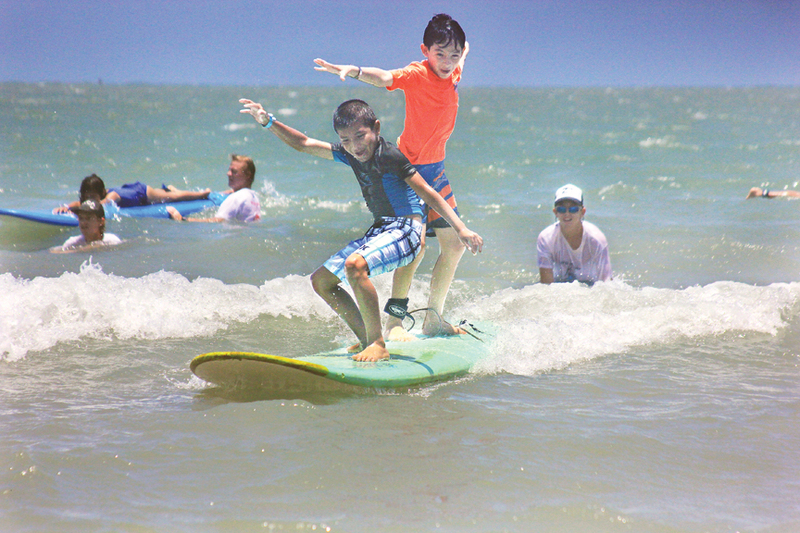 Pablo Recio, 10, lay flat on his belly Saturday as an instructor held his surfboard steady in the gentle swells out on the first sandbar, waiting for the perfect set. 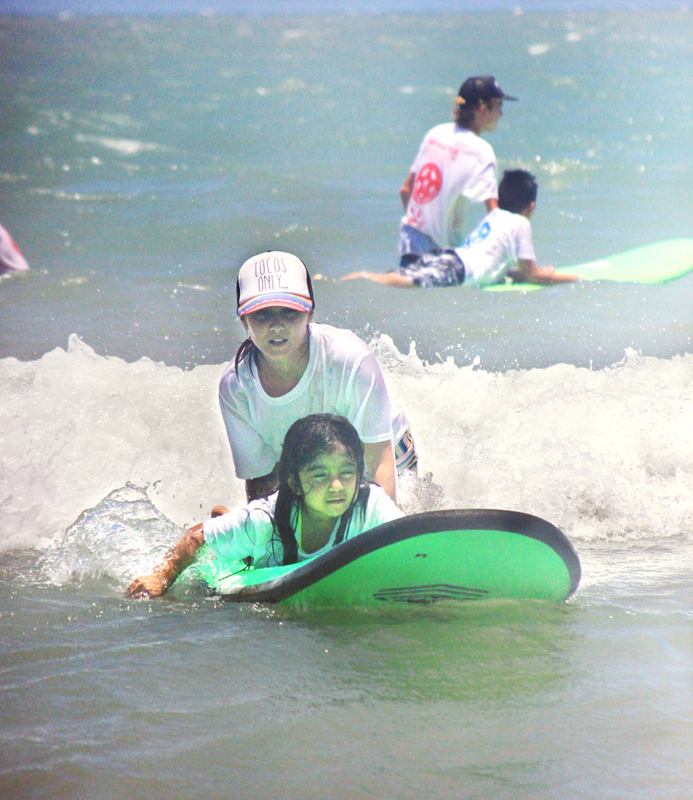 A moment later, the instructor turned around, urging the board forward with one strong push. Pablo gripped the edges of the board, then rose, balancing unsteadily as he rode his very first wave. The smile that erupted on his face shone brighter than the afternoon sun. Nearby, his mom, Margie Recio, could barely contain a smile of her own as she caught the moment on camera using her smartphone while balancing a baby on one hip. “It was amazing, especially since it was his very first time,” Recio said. “He’s never been on a surfboard,” she said. 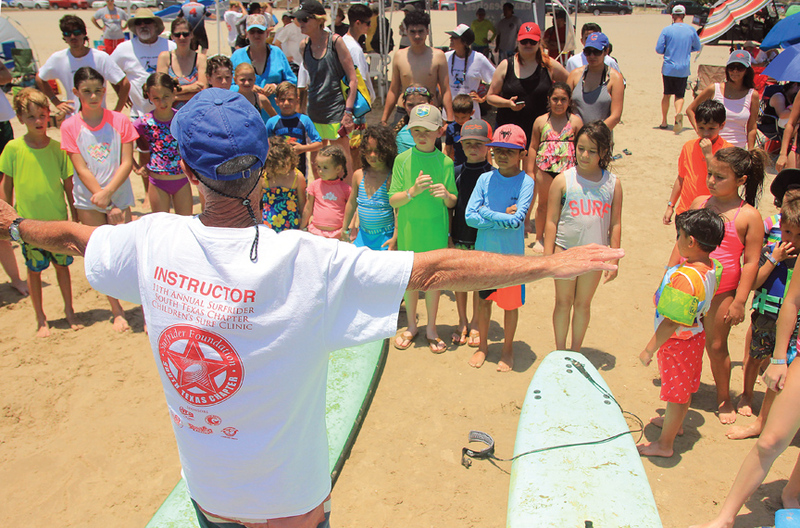 Instructors helped Pablo get back out to the sandbar to try a few more waves before he waded over to his mother, who stood in the shallows. “At first, I thought it looked kind of easy, but then it was a little hard because I’m trying to balance myself,” Pablo said. “Sometimes my weight went to the other side and I had to balance myself,” he said. Riding the waves felt like flying, he added. Soon enough, Pablo was jogging back into the waves to help his 4-year-old brother, Elijah, take a turn. 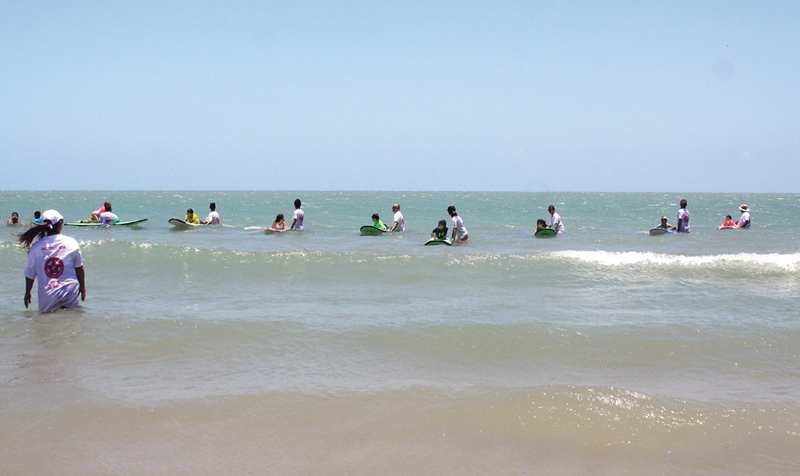 The Recio family came all the way from Brownsville to learn how to surf as part of a free clinic put on by the Surfrider Foundation – South Texas chapter. “This is our first time out here and he was very excited. 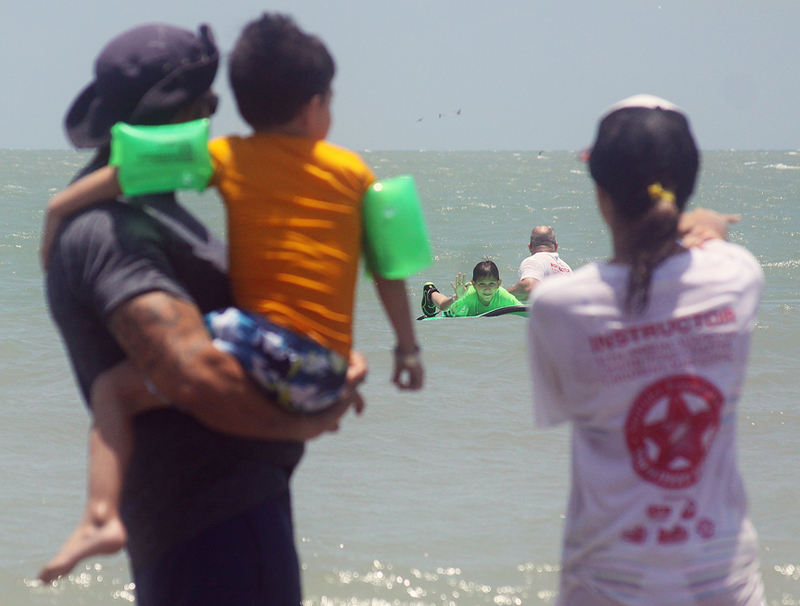 I’m very glad that South Padre Island went ahead and put this out,” Recio said.